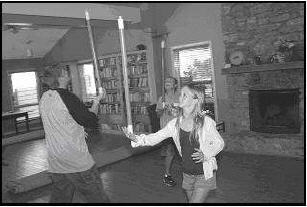 Students will use various balancing and flexibility techniques with their wands. Have the 24” tubes ready (one tube per pair). 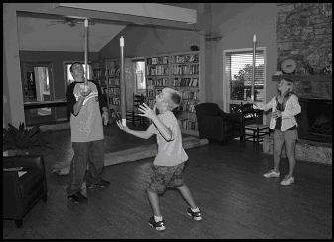 Challenge: Students will use various balancing and flexibility techniques with their wands. 3. Place the students with a partner. Each pair will receive one 24” tube. 5. After the activity, move to the “Activity Discussion and Processing” section of the activity. Why is being active good for your? How can you achieve a balance between activity and inactivity? What did you find challenging about this activity?Is being flexible important? Why? During the partner exchange of the wands, have the students increase the distance between each other. 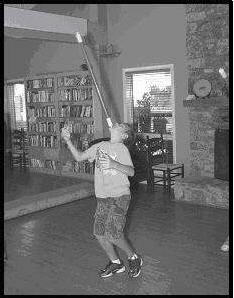 Students can attempt to perform stunts such as a full turn before catching the wand. Hold the wand in both hands near the ankles. Without letting go of the wand, step over the wand and through the space between the arms. 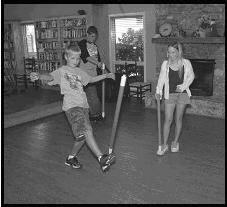 A variation of this is to pass the wand under the feet from side to side, one foot at a time, or to hold the wand behind the body to step over the wand.